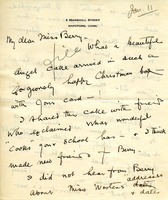 Elizabeth Billings writes to thank Miss Berry for the angel cake she sent her and to give her an update on her life as well as to send a check. 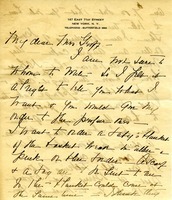 Mrs. Sillcocks writes to inquire about purchasing an angel cake and a sponge cake and asks if she can have the recipe as well. 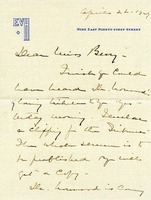 Emily V. Hammond writes to Martha Berry about having Dr. Norwood come speak to the Pilgrims on April 30, 1929. 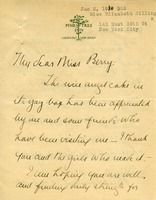 She wants Berry to send a letter that she can read to the Pilgrims at the meeting.